HOME>Our Doctors > Our Ophthalmologists > Mark N. Berman, M.D. 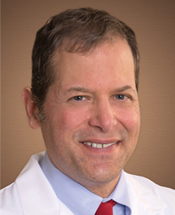 Mark N. Berman, M.D. is a Board Certified ophthalmologist with a fellowship in glaucoma. He joined Thomas Eye Group in 2002 and practices general ophthalmology with a special interest in glaucoma and cataract surgery. A native of Atlanta, he is a graduate of the University of Georgia and got his Doctor of Medicine from the Medical College of Georgia. His fellowship training in glaucoma took place in Chicago at University Eye Specialists. Dr. Berman is an active member of the American Board of Ophthalmology, Georgia Society of Ophthalmology and Medical Association of GA. Currently, he holds hospital privileges at Northside. When not working, Dr. Berman enjoys biking and spending time with his wife and three daughters.